College of Agriculture offers a stimulating and unique learning environment to study, that develops and encourages our students to achieve their future dreams. Our former students are performing at the highest levels in broad range of careers. 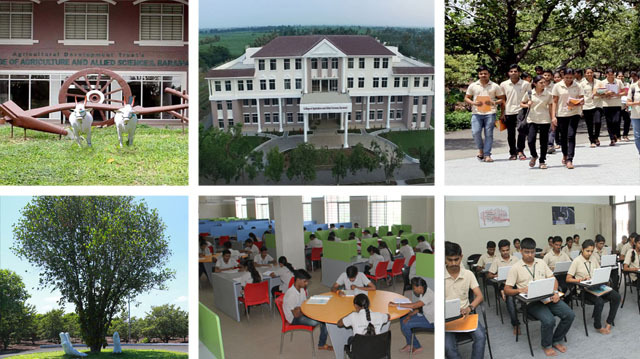 Our institution, who aims at elevating to international standards with the aim of providing Modern education to students who aspire for dream career and redefine the meaning of competitive education at junior college level. The Krishi Vigyan Kendra is International Award winning, District level Farm Science Center established by the Indian Council of Agricultural Research (ICAR), New Delhi at Agricultural Development Trust, Baramati, District-Pune for speedy transfer of technology to farmers fields. The operational area of this Krishi Vigyan Kendra comes under the western Maharashtra dry Zone. The aim of Krishi Vigyan Kendra is to reduce the time lag between generation of technology at the research institutions and its transfer to the farmer's field for increasing production, productivity and income from the agriculture and allied sectors on a sustained basis. In order to achieve this goal, four mandates have been envisaged in the design of the Krishi Vigyan Kendra. To empower women through education and to realize the dream of a better society through the education of women, the Agricultural Development Trust in line with the thoughts of Mahatma Phule, laid the foundation of an ideal educational complex for girls at Shardanagar in 1991. The college has 14 Degree programmes in Arts, Commerce and Science faculty and 2 posts Graduate programmes. 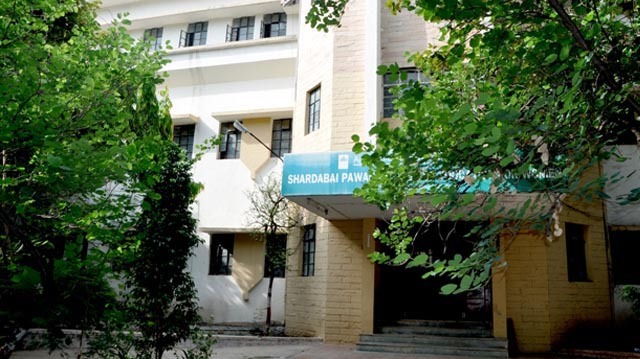 Shardabai Pawar Vidyaniketan is a Secondary School established in the year 1991 with the objective of education to rural children and to make them self-reliant, capable, confident and responsible citizens of the country. 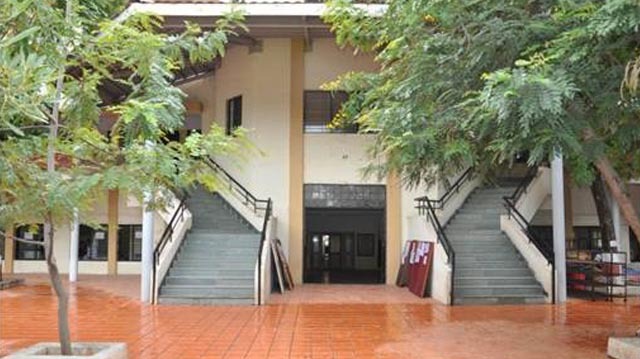 The School provides education in Marathi and Semi English from class 5th to 10th. The institute provides hostel facility to the school girls. The school has a well-qualified and dedicated staff and excellent library, computer laboratory, playground, e-learning facilities. It organizes learning programmes and workshops for the staff and students and also Focuses on Brain Stroming of the students by variety of education. ‘Learning by Doing’ is an important aspect of the secondary school. Counselling of students (Jeevan Samruddhi) was first implemented in this school. Scholarship exams, Aptitude tests, General Knowledge tests are also conducted here. The school has bagged many prizes in sports at the State and District level. The significant feature of the school is 100% result in SSC exam every year and distinction in sports and cultural activities. The school has been established in the year 1991 to cater to the needs of children between the age group of 3 and 10 years. It is playing the parental role for the children to provide enjoyable education with basic skills for their all-round development. The strength of the school has been increasing since 1991, now it has gone above 700. The ratio of girls to boys is more. The special features of the school are ‘Learning beyond School’, exposure to daily life experiences, classical dance training, health awareness. 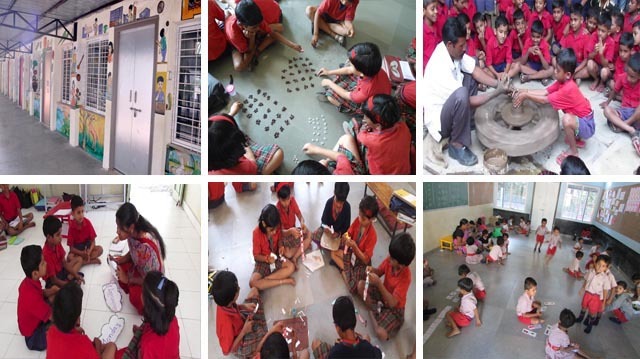 Besides such programmes, extracurricular activities are also organized like Anand Bazar, Srujan Workshop, Nature Walks and Science Exhibitions. The School also organizes visits to places of interest, Teacher Training Programmes. The students of the school participate in various competitions held at Taluka, District and State level. The development of Baramati MIDC under the guidance of Hon’ble Sharad Pawar laid the foundation of Shardabai Pawar Industrial Training Institute (ITI) in 1991. 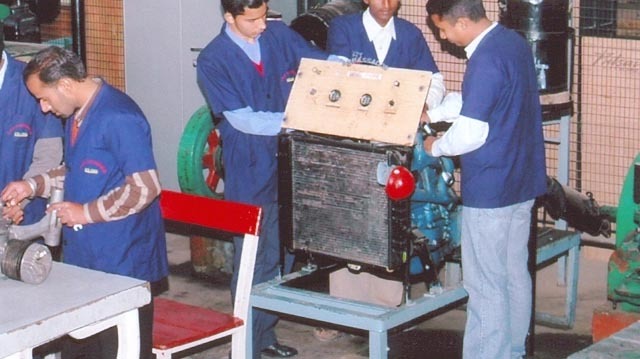 The continuous flow of skilled man-power is made available through this institute. The intake capacity of the institute is 200, and students who cannot pursue their education beyond 10th are admitted in various courses. The students from Pune district seek admissions and because of a well-qualified and dedicated faculty, the results of the various courses are far better than the other institutes in the region. Because of rigorous industrial training, the placement of students in all courses is above 70%.The staff and students of the institute provide skilled personnel for various jobs in various industries. The institute also perpetuates the culture of sportsmanship, social responsibility and commitment so as to excel in different. The institute also organizes visits and talks of distinguished personalities. To boost women’s employment as well trained teachers, the Trust has established an Education College in 1990. The duration of this course is 1 year, and students who hold a bachelor’s degree are eligible for admission. This institute is catering to the needs of rural women under the University of Pune. The college has a well-equipped computer laboratory and a resourceful library. The institute has well-qualified staffs who have participated in various state, national and international level conferences and workshops. The institute organizes workshops related to teaching skills for ITI and KVK staff. The college organizes many activities for students like debates, group discussions, micro teaching competitions, workshop on teaching aids, visits to various places, use of Information Technology in education and various programmes for women empowerment. The college has bagged many medals and scholarships with its excellent results. 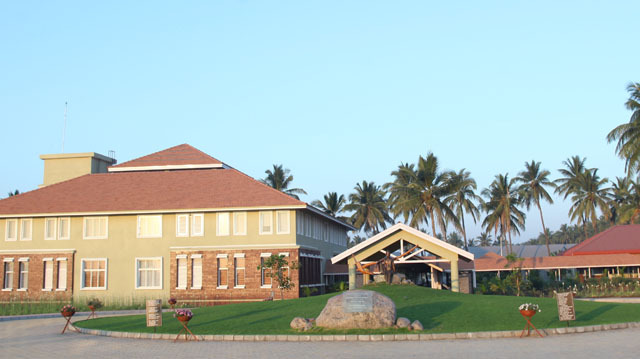 It has a Centre for various courses offered by Yeshwantrao Chavan Open University. Department of Home Science established in 2007 in Shardabai Pawar Mahila Mahavidyalay, Baramati. 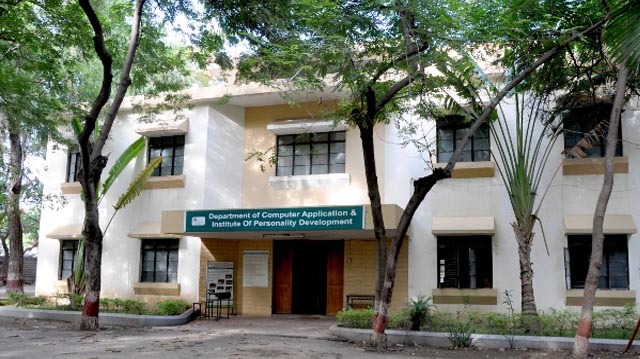 This department is the only Home Science Department Affiliated to University of Pune which offers B.Sc. Degree in Home Science (semester pattern). Department offers two specialization i.e. “Food Science & Nutrition” & “Textiles & Clothing”. Department of Home Science has professionally qualified full time & visiting faculty for Nutrition &Textile & Clothing. Guest lectures are invited from Mumbai & Pune. Department arranges workshops, seminars & guest lecturers in various related areas for students. Department also arranges educational visits to industries & educational institutes. Now a days Population of our Country is increasing by leaps and bounds. Ultimately we are facing the problem of unemployment. To overcome these problems Institute of Personality Development and Services section is putting its efforts to empower the women of our college and area around Baramati and Pune district. The department has started its activities in 1991 and trained above 5000 women and helped them to make their earning. Now they have became economically supporting hand to their rural families. 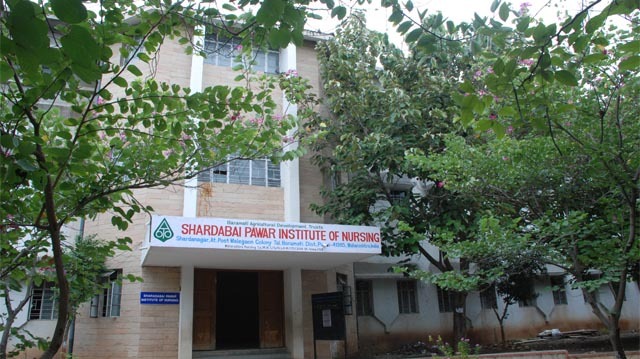 Shardabai Pawar Institute of Nursing was established in the year 2004 to empower rural women and to make them financially independent. This has opened opportunities of employment to the women of economically weaker sections and those who cannot pursue higher education beyond 12th. The course gives cent percent guarantee of employment to almost all students because of the demand of trained and humble nurses. The institute runs two programmes l. Revised General Nursing and Midwifery (RGNM) – 3 1/2 Years Diploma Programme 2. Revised Auxiliary Nursing and Midwifery (RANM) - 1 1/2 Years programme. The institute has a dedicated staff and well equipped laboratories. 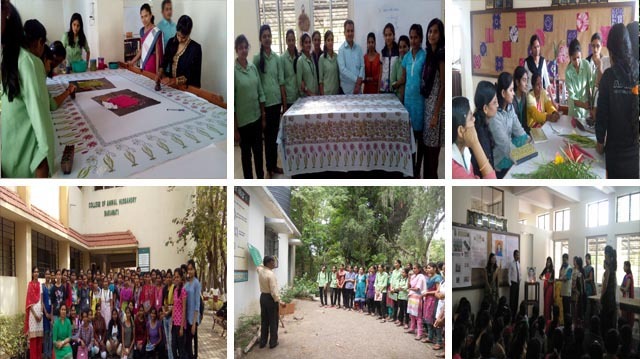 Because of good Results and placement, girls from southern Maharashtra seek admissions to these courses. As a social responsibility, the institute participates in various health programmes organized by the institute, Government bodies and social organizations. The staff and students of the institute have helped the Baramati Nagar Parishad during swine flu epidemic. Agricultural Development Trust started International Beauty School in collaboration with ISAS, International Beauty School . ISAS is currently the only institute that gives its students an opportunity in fashion weeks and prestigious beauty contests, giving them first hand exposure of the real world. The curriculum at ISAS is as per international standards and follows similar protocols, use of worlds class products and awards certifications that are recognized world over . 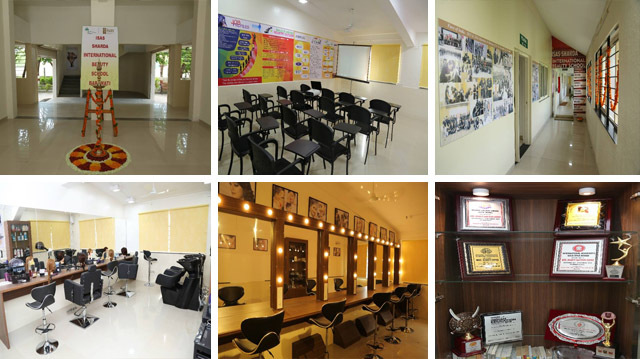 ISAS imparts training under several sub domains like beauty therapy, spa and body therapy, hair dressing, professional make up, nail techniques and salon/spa management making sure that all the courses have unique skills to be thought which none of the institutes in India offer . ISAS offers more than 25 beauty courses and also customizes the same based on students needs.